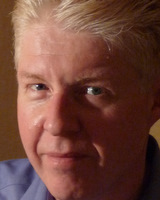 Paul Gillin is a writer and content marketing consultant specializing in technology and new media. He advises business-to-business marketers on strategies to use quality content and social media to reach buyers. Paul is a veteran technology journalist with more than 25 years of editorial leadership experience. He was founding editor-in-chief of TechTarget, one of the most successful Internet media companies. Previously, he was editor-in-chief and executive editor of Computerworld. His award-winning book, The New Influencers, chronicles the changes in markets being driven by social media. His second book, Secrets of Social Media Marketing, was published in the fall of 2008. His third book, Social Marketing to the Business Customer, was co-authored with Eric Schwartzman and published by John Wiley & Sons in January, 2011. He is is also co-author with wife Dana of The Joy of Geocaching, the story of a global game enabled by an Internet community. Paul is a Research Fellow at the Society for New Communications Research and a member of the Procter & Gamble Digital Advisory Board. He also chairs the Social Media cluster for the Massachusetts Technology Leadership Council. His website is www.gillin.com and he blogs at paulgillin.com. Business-to-Business Social Media Marketing ? Really! Conventional wisdom says that social media isn't appropriate for business-to-business marketing. Conventional wisdom is wrong. Across the corporate landscape,businesses ranging from banks to high-tech firms to plumbing supplies are successfully applying social media tools to connect with customers, channel partners and suppliers. As they grow more confident with the tools, they?re experimenting with sophisticated applications like social networks and customer co-creation. The value of public relations to B-to-B companies has never been greater. Learn what the innovators are doing and how you can apply the techniques in your communication programs.